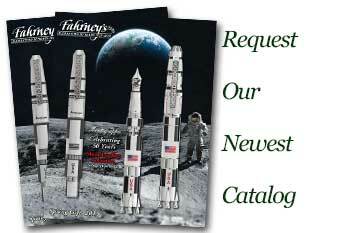 Order your Think Frick and Frack Rollerball Pen today from FahrneysPens.com. Fine Pens, Refills & Luxurious Gifts – great prices & fast shipping. Titillate your senses with the fascinating THINK Frick & Frack Rollerball. It will make your day-to-day writing more colorful and unique! This rollerball has attractive features including a large barrel design that feels strong in your hand and gives you convenient smooth and wet-ink writing with eye catching and whimsical patterns. THINK created this piece to be perfect for home or the office. The Frick & Frack rollerball has a large barrel made of strong resins and was designed with strength in mind. The Frick & Frack rollerball has a matching cap that is accentuated with a contrasting chrome clip and band that bring more attention to the beautiful pattern on the barrel. Each THINK rollerball comes in a reusable wood box.